Cops say Rick Genest -- best known as Zombie Boy -- jumped to his death ... but his family believes it was an accident. Montreal law enforcement sources tell TMZ ... the Canadian artist and fashion model jumped from a 4th floor balcony of an apartment building Wednesday around 5 PM in Le Plateau-Mont-Royal. We're told paramedics rushed to the scene and performed CPR, but could not revive him. We spoke with Genest's manager, Karim Leduc, who tells us Rick's family believes his death was an accident. Leduc says Rick would smoke on his balcony, and lean back on a railing while doing so ... and his family believes this caused him to fall. 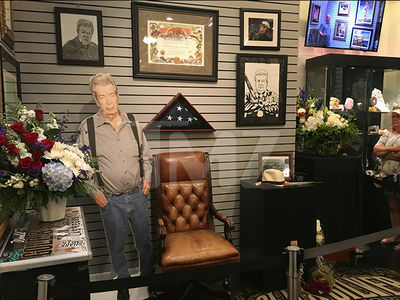 Leduc also says the fact Rick didn't leave any type of suicide note also plays to the family's suspicions, as he loved to write and would articulate his feelings through his work. Rick's family believes he would have left a suicide note for them. 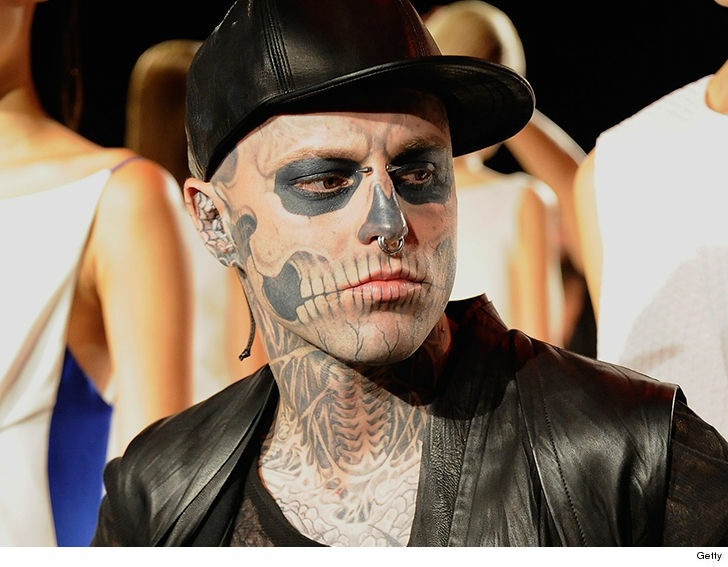 As we reported ... Zombie Boy rose to mainstream fame in 2011 after appearing in Lady Gaga's "Born This Way" music video. That gig led to more high-profile fashion work on the runway with Rocawear's relaunch in Europe and modeling for magazines like GQ and Vanity Fair. Lady Gaga responded to the sad news ﻿by calling the suicide of her friend, "beyond devastating." She also urged anyone suffering from mental health issues to reach out to friends and family, adding ... "We must save each other."